It’s not the first Kentucky distillery to find its way into a ghost-hunting show. 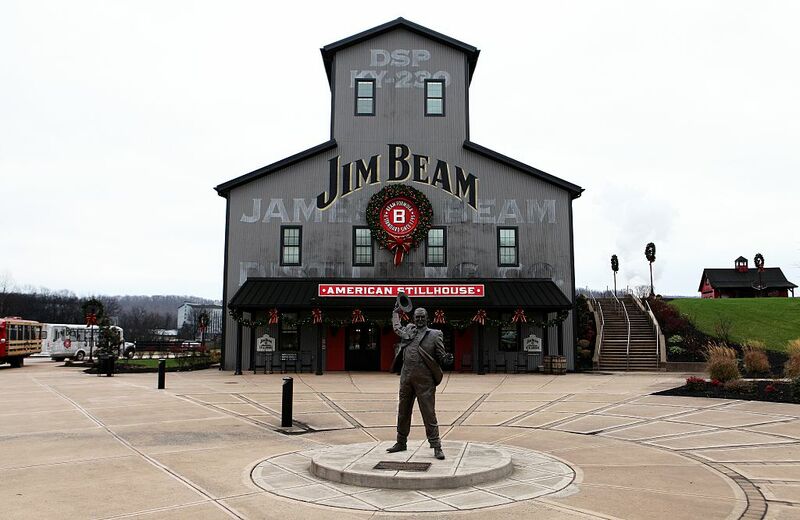 In a partnership ripe for wordplay, the Destination America ghost-hunting show Paranormal Lockdown will be spending 72 hours at the Jim Beam American Stillhouse in Clermont, Kentucky, for an upcoming episode. Though the show’s two stars – Nick Groff and Katrina Weidman – are almost certain to find plenty of “spirits,” whether they’ll actually uncover any ghosts in the supposedly haunted facility is yet to be seen. The Jim Beam episode is slated to be a part of Paranormal Lockdown’s third season, scheduled to debut this year, but the exact air date is still unknown. In fact, it’s not clear whether the ghost-tracking duo has actually visited the distillery yet or not – though obviously you don’t want to tip ghosts off to your arrival. If there’s one thing spirits excel at, it’s hiding their existence when you try to prove it. Interestingly, the Lexington Herald Ledger points out that this is not the first time one of these paranormal activity shows has targeted a distillery. The Syfy show Ghost Hunters went to Kentucky’s Buffalo Trace Distillery in 2011 as part of the show’s seventh season and also went to the state’s Wild Turkey Distillery in 2015 as the premiere of the show’s tenth season. Frankly, with so many seasons under its belt, you think the show would have visited distilleries more often: It’s solid free publicity for the booze brand, and after a strenuous day of not finding any ghosts, a bourbon would seem like a great way to unwind and convince yourself that you haven’t made a terrible career choice!